I will describe a new type of neural net that uses small groups of neurons called capsules. A capsule outputs the probability that an instance of the kind of entity it detects is currently present but it also outputs a pose vector that represents attributes of the instantiated entity such as its precise position, orientation, scale, colour, deformation, motion etc. A capsule receives input vectors from lower-level capsules, transforms them with weight matrices, and looks for sharp agreement among a subset of the transformed vectors. It then produces an output vector that is the average of the transformed vectors that agree and an output probability that is determined by the sharpness of the agreement. This “Hough” non-linearity is very different from the ones standardly used in artificial neural nets and it has a very attractive property called “coincidence filtering”. For example, a capsule can recognize a familiar shape by detecting agreement between the predictions that different parts of the shape make for the generalized pose of the whole shape and it can completely ignore irrelevant predictions. This way of recognizing shapes generalizes naturally across changes in viewpoint because all the poses change in the same way so the coincidence remains. The output of a shape-detecting capsule is initially shared among many higher-level capsules to detect larger, more complex shapes. Higher-level capsules that converge on a tight cluster then demand a larger share of the output from the lower-level capsules that contribute to the cluster and smaller share from the lower level capsules that produce outliers. I shall argue that this “routing-by-agreement” is a much better way of routing each part of the visual input to those high-level neurons that know how to deal with it than “max-pooling”, which is the primitive routing mechanism currently used in convolutional neural nets. Stochastic gradient descent in a deep hierarchy of convolutional capsules that use adaptive routing should allow us to parse images using deep parts-based models that do not require hand-engineering. Geoffrey Hinton received his PhD in Artificial Intelligence from Edinburgh in 1978. After five years as a faculty member at Carnegie-Mellon he became a fellow of the Canadian Institute for Advanced Research and moved to the Department of Computer Science at the University of Toronto where he is now an Emeritus Distinguished Professor. He is also a Vice President & Engineering Fellow at Google and Chief Scientific Adviser of the Vector Institute. 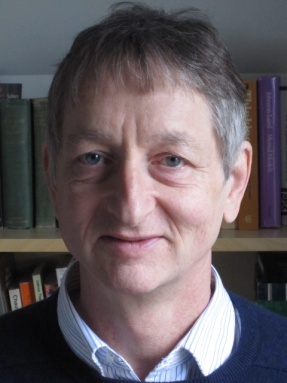 Geoffrey Hinton was one of the researchers who introduced the backpropagation algorithm and the first to use backpropagation for learning word embeddings. His other contributions to neural network research include Boltzmann machines, distributed representations, time-delay neural nets, mixtures of experts, variational learning and deep learning. His research group in Toronto made major breakthroughs in deep learning that revolutionized speech recognition and object classification. Geoffrey Hinton is a fellow of the UK Royal Society, a foreign member of the US National Academy of Engineering and a foreign member of the American Academy of Arts and Sciences. His awards include the David E. Rumelhart prize, the IJCAI award for research excellence, the Killam prize for Engineering, the IEEE Frank Rosenblatt medal, the IEEE James Clerk Maxwell Gold medal, the NEC C&C award, the BBVA award, and the NSERC Herzberg Gold Medal which is Canada’s top award in Science and Engineering.